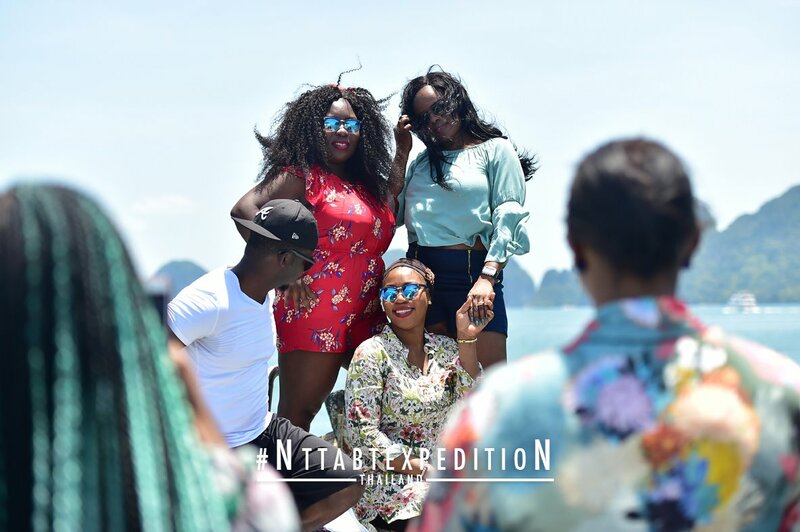 Ever wondered what our group from Nigeria got up to in Thailand? In the words of Muhammad Ali ‘impossible is just a big word thrown around by small men who find it easier to live in the world they’ve been given than to explore the power they have to change it’. Embarking on a planned group trip to Thailand with people from Nigeria seemed almost impossible, because of the restrictions that come with being a green passport holder (which means you get 46 visa free countries out of 195-91st in terms of travel freedom according to Henley Passport Index ). However, we looked beyond this limitation, and were finally able to open the beautiful doors of Asia to our twenty-two guests, introducing them to the rich world of Thai culture, great cuisines and the impressive Thai new year’s festival. Did I forget to mention the rejuvenating massage sessions? Well that too!Trust me, you haven’t really visited Thailand if their masseurs don’t break your bones, just kidding! Selecting Thailand as our first stop in Asia was only natural; as Bangkok is the most visited city in the world (it only made sense for us to go see what everyone was going there to see lol). Did Thailand meet our expectations? It delivered above and beyond, giving us a great opportunity to immerse ourselves in a whole new culture. It’s fun to talk about the trip and the people who made the trip, but let’s begin with the planning process. The planning process although challenging was really exciting to be honest. We knew that getting a visa or scaling through NDLEA clearance was likely to be a daunting process but we didn’t allow any obstacles to discourage us. 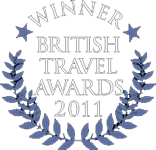 Also, partnering with another travel company was a great idea that helped smoothen the process. BONUS TIP: please make sure you begin this process at least 3 months to your travel. Having met with the vice president of Mövenpick Hotels & Resorts, Asia at the world travel market in London, I was convinced their brand was just what our guests needed- something relaxing and sophisticated. Our trip itinerary was specially made to promote communication and networking activities in the group. We also crafted plans that included body rejuvenating activities as well as adventurous adrenaline thrills to ensure no one was feeling left out. The month of April was intentionally selected as it’s usually one of Thailand’s off-peak periods. However, the Thai New year festival (Songkran) is a national holiday held between 13th to 15th April. The celebration lasts for a week, so we were sure to experience that. It was the longest journey many of our clients had ever experienced but they were well prepared for it. We arrived at Bangkok after nearly 16 hours (flight connection time included) from Lagos. We relaxed in the connecting flight lounge for Phuket (the pearl of Andaman). The lounge was intentionally included to allow us some time to eat and relax before bracing the final leg of our journey. We checked in our guests soon after and then we all set out to have dinner where we got to know each other (at least our names lol). The greatest fear of any travel planner is having your guests get into avoidable trouble. SEA countries have extreme policies on drugs and so we had to make sure our clients understood this via various forms of communication. We had a great mix of people from Europe, Cameroon, Namibia and Nigeria. Major ethnic groups and religions were very well represented and it was interesting to learn about other cultures and belief systems. The age group was also diverse as we had 25 year old slayers and popping 50 year olds. Boy was it awesome!! It was such a joy to see everyone on a level playing field ready to learn and enjoy their time with each other. Most people were knocked out from the previous day so they stayed in bed. The foodies among us were excited to try out authentic, delicious Thai breakfast infused with intercontinental options. Oosh! Our activities at Phuket began at noon, as our tour there included the Big Budda, pear factory and Honey factory. Some of us went to visit the elephant/Tiger Kingdom, a few went shopping and others headed to the hotel for more relaxation time. It was also a perfect time to discover the Karon area (the location of our hotel) – the amazing street food and fresh coconuts. We were shocked when we came across stalls for fried insects including bugs and scorpions. Okay well to be honest, we kind of expected it. Island hopping is one of the fun things to do in Phuket. Settling for James bond Island was a tough decision considering its Phi Phi Island. It was an early start tour so we set out by 8am. After a combination of a really long bus ride, a ship and Thai Gondola boat ride, we stopped at the first Island named after James bond (because the 1974 movie-The Man With The Golden Gun was shot partly on this island). We had only 30 minutes on this Island before heading to the next.It was very important to keep to time because lateness would mean paying an extra 500thb per head to get another boat to the main ship. We were welcomed with the funniest selection of food and drinks. Eating while enjoying the view of the Andaman sea is a great experience on its own. This trip was a first of many things for all e.g. Kayaking !!! It was an exhilarating experience! The brave ones among us also went diving in the sea. You’ll have thought the island hopping tours would have left us exhausted but no o! Some of us decided to enjoy the Thai New Year’s Eve celebration on Bangla road. Bangla is your go-to spot for a fun night out. The road in the day time leads to the beach, major shopping centres such as Bangla mall and Jungceylon shopping centre. It usually comes to life after sunset, with tons of bars, clubs and cheap booze to enjoy. However, on this night of the Thai New Year, it came with a different vibe, a festival of baptism of water. It was at first frightening to see ice cold water get splashed on people but after most of us got wet, we bought our guns, went bananas and joined in the friendly water fight and street party. The Thai however don’t just throw water for fun; the splashes are a symbolic way of washing off all misfortunes from the previous year, thus welcoming a fresh start. This is a national public holiday (very few places stay open during this time). This made it the perfect free day to rest! We spent some time at Karon beach, relaxing and channeling the inner models in us. The brave ones went parasailing while the rest of us returned to the hotel for some spa time. In the evening, we were all ready to enjoy the 70minutes long Phuket Fantasea show- elaborate display of elephants showcasing the rich and exotic heritage of Thailand with cutting-edge technology at a cultural theme park (we couldn’t even record some bits for the gram as you submit your phone’s at the entrance). We had our last dinner in Phuket together as a family with lots of fun and games in between. Our visit to Thailand couldn’t be complete without visiting the capital. It was about an hour’s flight from Phuket. Bangkok is the most visited city in the world (You thought it was London, Paris or New York? nope! At least for now) and it won’t take you long to realise why. We checked into our new home, another Movenpick brand in the heart of Bangkok Sukhumvit Soi. By evening time, we were ready to explore the riverfront Asiatique (opens from 5pm). It is a night bazaar come mall, the perfect way to spend your evenings in Bangkok-From picking up gifts/souvenirs at various shops to grabbing something to eat (most restaurants had a river view). For entertainment, this spot is famous for the Bangkok Eye or for the Calypso ladyboy show. We ended our nights with an awesome 2 hour- massage. You can’t go wrong with shopping in Bangkok. There are options of visiting modern malls, taking a long tail boat to the floating markets or visiting the largest market in Asia, the Chatuchak weekend market. This is your shop ’till you drop spot with over 8000 market stalls, you will find something you wanted to (or did not want to) purchase There are a wide range of items from clothing and accessories, to fabrics, handicrafts, ceramics and much more. At this point, I must mention that bargaining here is your typical Balogun market in Lagos or Souks in Morocco style.Don’t always take the first price, better still, walk away to the next shop. You need to be prepared for the exhaustion this market brings as it’s massiveness might tempt you to keep going (it’s only open on weekends though). This luxury 5-star diner cruise is one of the best ways to see Bangkok city at night, whilst dinning in buffet style, enjoying the live band entertainment and breath-taking views of the historical landmarks such as the Grand Palace and Wat Arun temple. Words can’t truly describe this experience. You’ll have to see for yourself!. The highlight of the night was the scheduled Songkran after-party. Our guide handed us water coats, while the party hosts gave us water guns. What could be more fun than getting wet while dancing? The only thing we probably forgot to do was give them an afro beat mix for takeover, bet we won’t forget next time. Our visit to Bangkok could only be fulfilling after visiting one of the famous sky bars. Above 11 was a natural choice, due to great reviews and its Instagram fame. As it sits on the 32nd floor of Fraser Suites, it’s very easy to miss it. It offers phenomenal views of Bangkok from the top and we enjoyed delicious cocktails at a decent price. Temples and Grand Palace City highlights such as the Golden Buddha (Wat Traimit, 5M in height and 5 and half tons in weight gold). The Grand palace is a spectacular and dazzling sight to behold, formerly home to Thai kings but since the 20th century, it’s been used majorly for ceremonial happenings. The emerald Buddha (Wat Phra Kaew) is one of the most impressive buildings you will find here. Food is one of the highlights in Bangkok from local dishes on the streets to restaurants delicacies. Whichever option you go for, you won’t have to overspend because food is super cheap in Thailand (so fit-fam, better watch out!). We had the opportunity to have tea with Nigeria’s ambassador to Thailand, Amb Ahmed Bamalli. It was indeed time well spent with him and his family. He gave us some insight into the challenges and opportunities available to Nigerians in Thailand. You could tell that he was very proud to see a group of peaceful, happy vacationers from Nigeria. The hardest part of anything fun related is probably saying your goodbyes. We had spent the week living as a family- eating and laughing together, some of us signing business deals, getting new job offers and most of all, creating new friendships. I always say that the itinerary doesn’t make the trip, the people do and when you have twenty something people under a roof, with no arguments over the best religion, football clubs or ethnicity, you call that a blessing! Our team is definitely looking forward to planning and hosting more fun trips for our Fearless, adventure loving Nigerians! Thank you very much, no tours till September. Thank you for having fun with us. We look forward to more fun trips.